Berkshire Local Business Charity Awards have launched! Get in touch to be in with a chance to win! 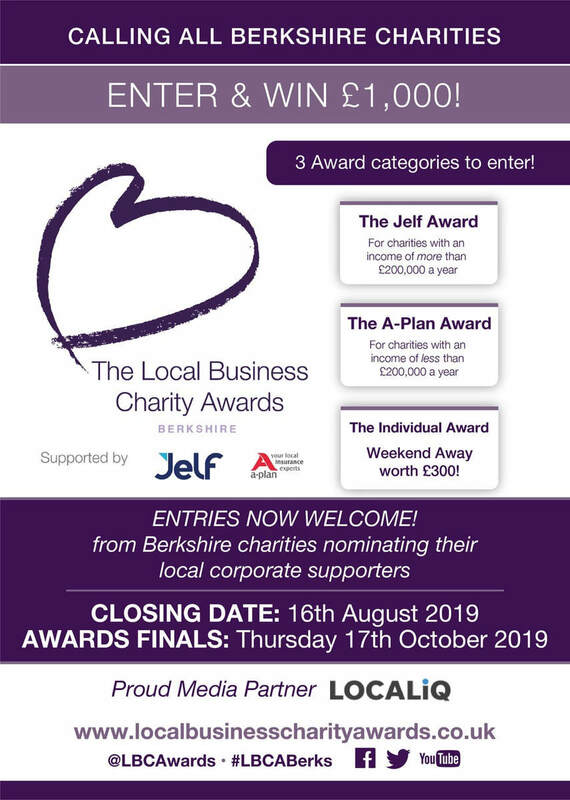 The Local Business Charity Awards (Berkshire), sponsored by insurance specialists Jelf & A-Plan, have launched for the very first time in the county. LocaliQ, part of the Newsquest Media Group and the UK’s leading local publisher, have agreed to be media partners for the 2019 awards. Their titles include: The Reading Chronicle, Bracknell News, The Royal Borough Observer, Slough and South Bucks Observer, The Villager. The Awards have been established in Oxfordshire, North Yorkshire and Cumbria, and are soon to launch in Glasgow and Wales. "We rely on fundraising and donations and we can only sustain our work with the help and support of the community we serve. We hope that these awards will highlight not only the great businesses that are already supporting their local Charities but, through the ‘Support A Local Charity’ scheme, those of us who would really benefit from help, both financial and expertise-led from local business"
The Local Business Charity Awards (Berks) are now open for entries; entry to the awards is free and the closing date is Friday 16 August 2019. Finalists will be announced on Friday 20 September 2019, and finalists will be invited to attend awards finals on Thursday 17 October 2019.